Eisenhower on McCarthy: The president's strategy. The Vault is Slate’s history blog. Like us on Facebook, follow us on Twitter @slatevault, and find us on Tumblr. Find out more about what this space is all about here. 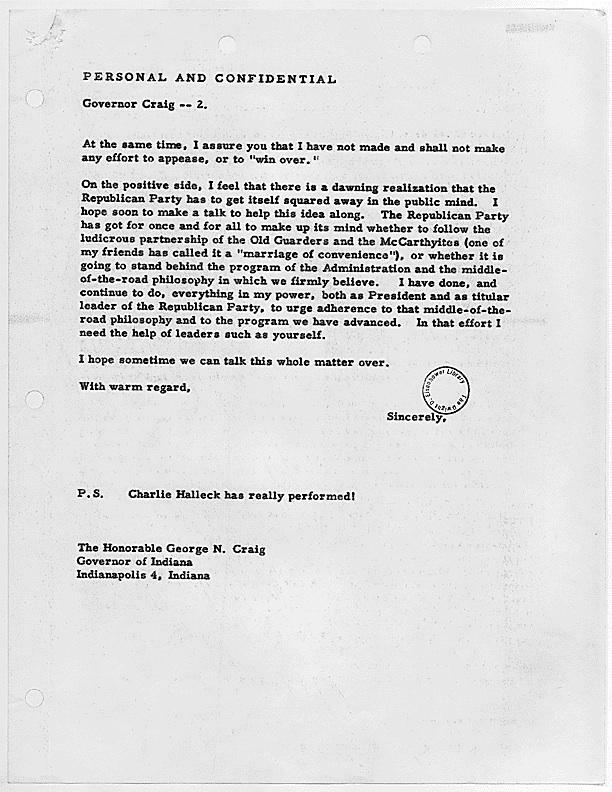 In March 1954, President Eisenhower sent this letter to George N. Craig, then the Republican governor of Indiana, defending his policy of not publicly criticizing the actions of Sen. Joseph McCarthy. 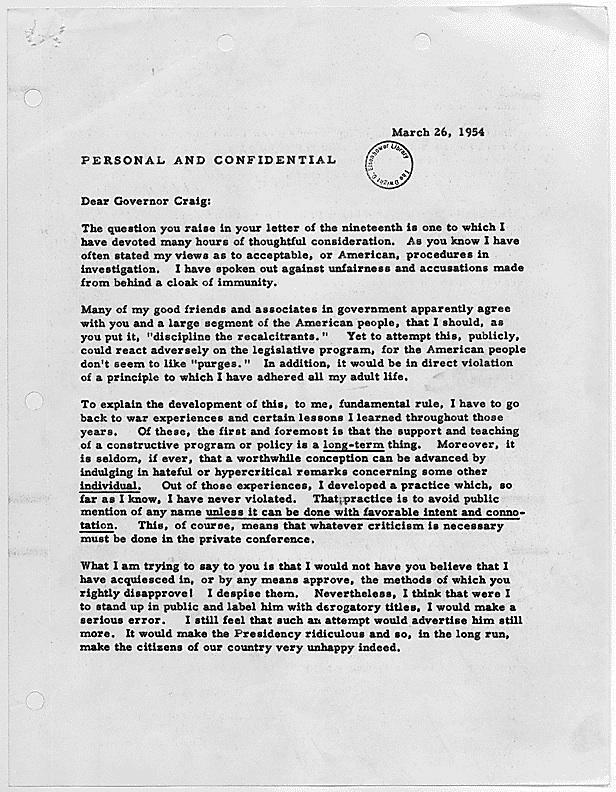 The letter shows how carefully Eisenhower had formulated this tactic, and how often he had fielded questions about its appropriateness. Truman attacked [McCarthy] personally, by name. Thereby he created a monster. Eisenhower killed him and he did it by ignoring him. The press went almost wild trying to force Eisenhower to attack him …The result proved [Eisenhower] right. In the end, as the Miller Center writes, although Eisenhower did “work quietly, behind the scenes, to frustrate McCarthy’s investigations,” the senator’s fall came about more organically: “What did far more to diminish the senator’s power was television’s ability to bring McCarthy’s surliness into American living rooms.” By the end of 1954, the Senate passed a censure motion reprimanding McCarthy, and his investigations ended. Letter from President Eisenhower to George N. Craig, March 26, 1954.